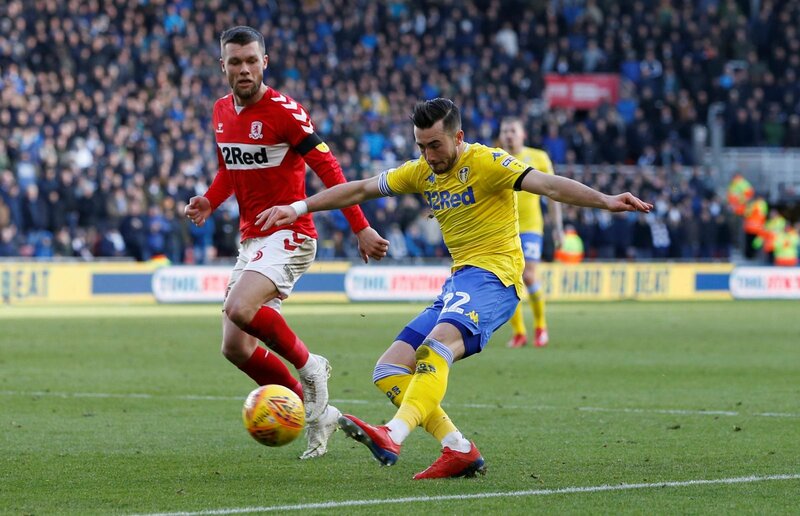 Leeds United winger Jack Harrison is confident that the team will end the season with promotion from the Championship. The 22-year-old scored the winner on Saturday as Marcelo Bielsa’s side beat Yorkshire rivals Sheffield Wednesday 1-0 at Elland Road. It was an important result for the Whites, which sees them move ahead of second-placed Sheffield United, who were held to a 1-1 draw at home by Millwall, in the automatic promotion race. Leeds are now three points ahead of the Blades with four matches to play. Harrison believes the team are mentally strong enough to not be affected by the pressure and has every confidence that they can finish the season with promotion. “That’s important, especially at this point in the season when tension’s high and you see a lot of teams caving into the pressure,” said Harrison, as quoted by the Yorkshire Evening Post. “We’re an extremely strong team, not just physically but mentally. We have the talent so there’s no reason why we can’t handle it. It’s important when the pressure is high and everything’s going on around you to stay focused. “The manager always stresses the importance of controlling what we can control and focusing on what we can do. The results came in just as we were preparing to kick off but we stayed together as a team and kept control. Harrison has been an important player for Leeds this season, scoring four goals in 36 appearances in the Championship. The Whites now face an Easter weekend double-header with Wigan Athletic visiting Elland Road on Friday, before Leeds visit Brentford on Monday. It’s been a brilliant week for Leeds United. The way they responded to last Saturday’s defeat at Birmingham City with back-to-back wins against Preston North End and Sheffield Wednesday really speaks volumes about the mental strength of the side. Promotion is now back in their own hands again and they have every reason to be confident of finishing the job ahead of the final four matches.